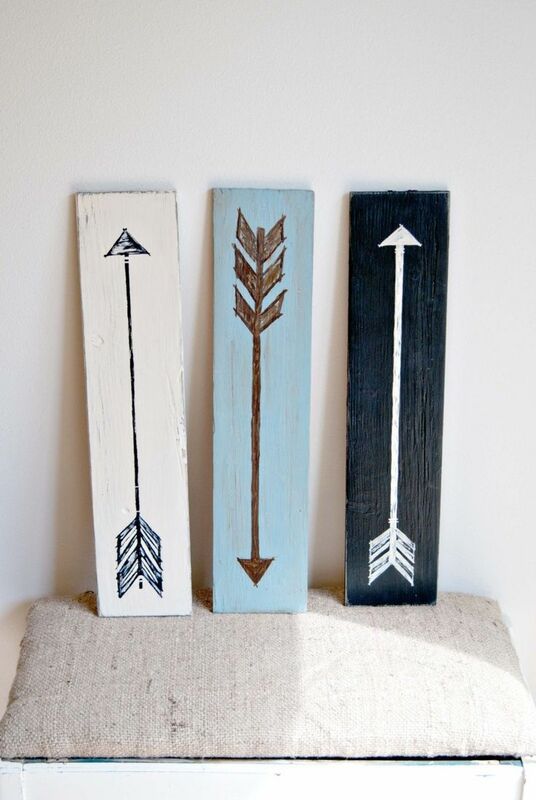 Arrows aren’t just for traffic signage and pointing people in the right direction to wherever they want to go. 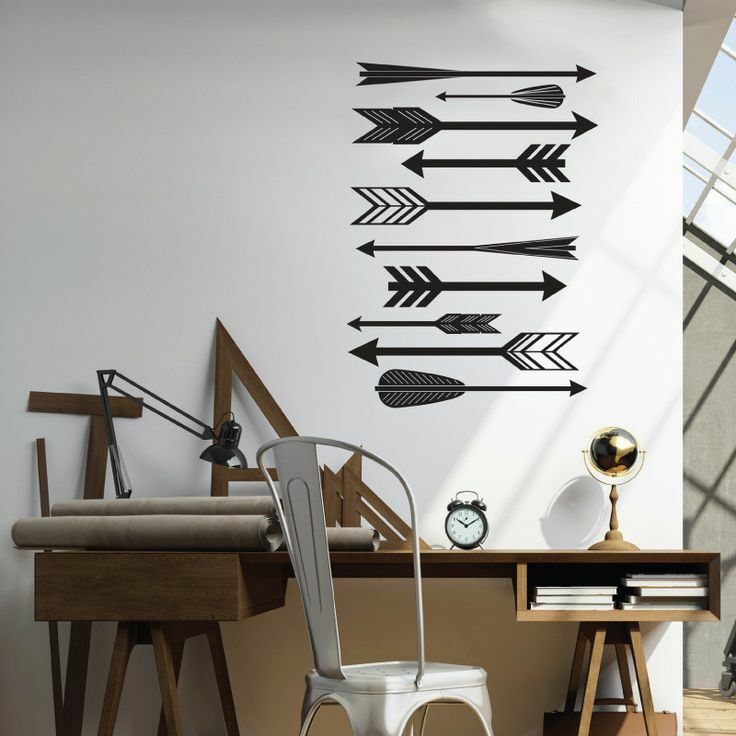 While they’re not typically seen in most homes, there’s a bit of a known trend in using arrows as wall art and to draw attention to smaller details. 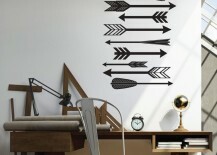 Since arrows can be created in all sorts of different shapes, sizes, and styles — from long and narrow to short and fat, they can work in almost any space. 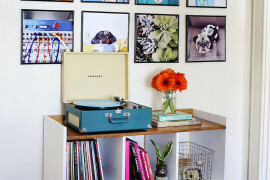 Here are a few examples to give you some inspiration. 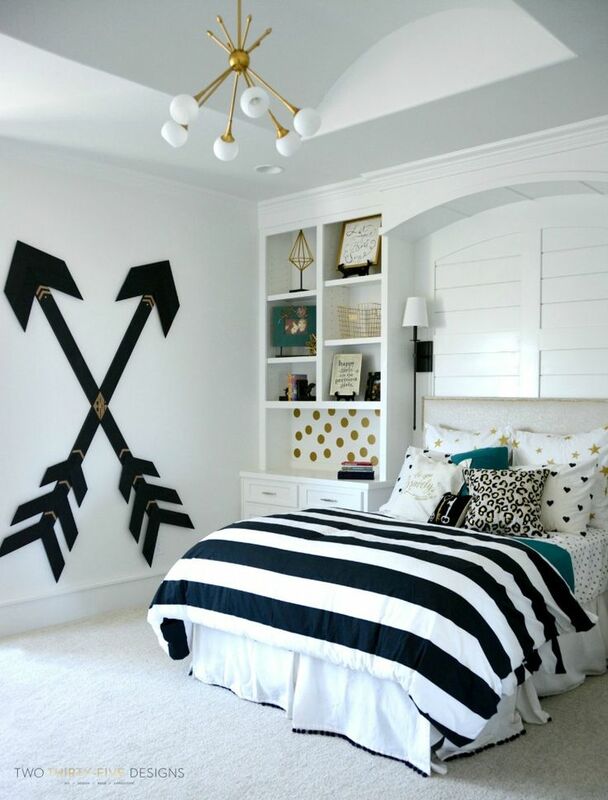 Whether you have a small vertical space beside a piece of furniture or a large blank wall to work with, you can certainly find the right sized piece of arrow art (or collection of arrows) to fill that space perfectly. 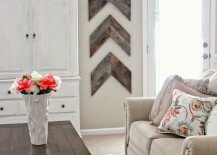 Little Brick House and Etsy Shop SparklePower show these sets of three beautiful wood chevron arrows both used vertically and horizontally. 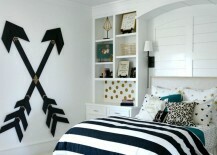 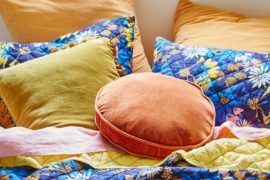 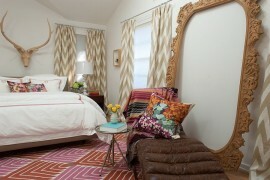 For a teenager’s bedroom, Two-thirty-Five Designs shows a different style of arrow that creates a unique focal point on the wall beside the bed. 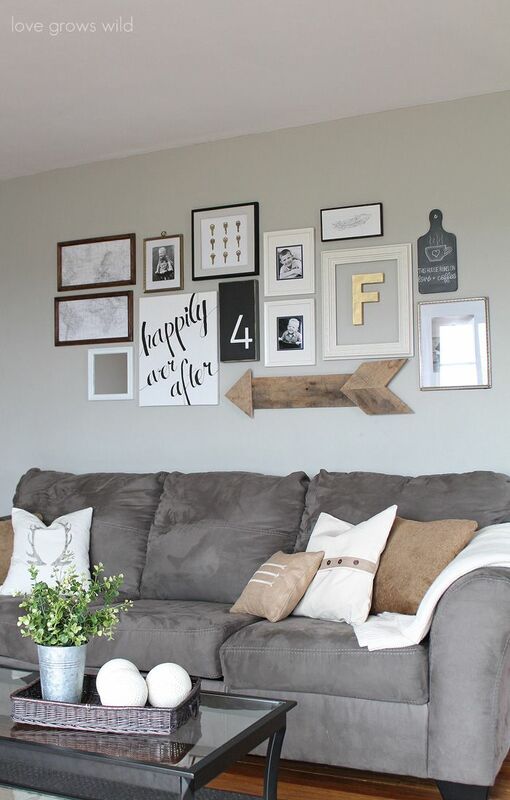 If huge arrows that stretch straight across a wall are too intense for your liking, smaller wall art pieces might be a good option. 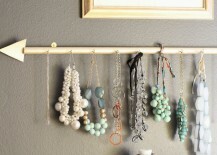 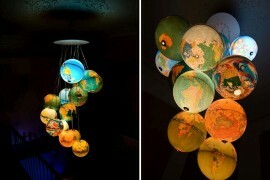 Simply hang them or lean them up against the wall on a piece of furniture. 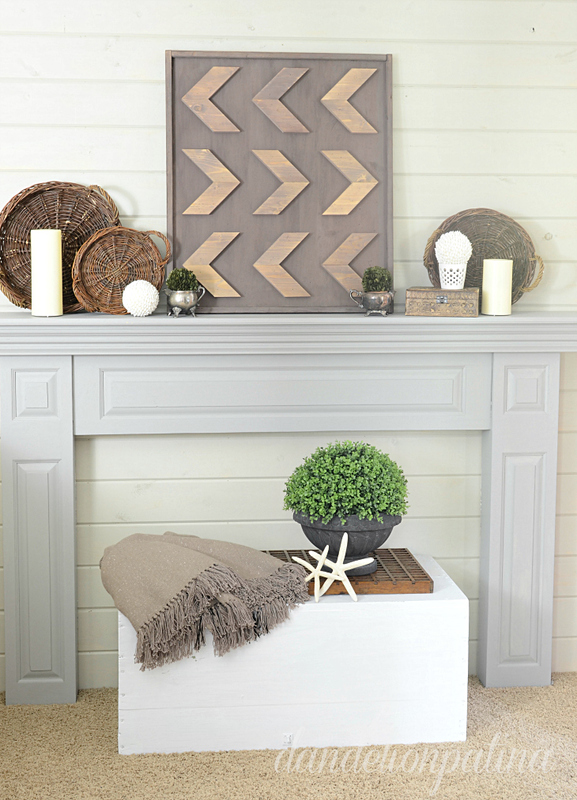 Dandelion Patina shows off this gorgeous piece with wooden chevron arrows that’s perfect for a mantel, while Etsy shop Averie Lane Boutique offers these elegant pieces of art with arrows hand painted on narrow pieces of wood. 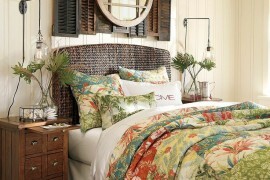 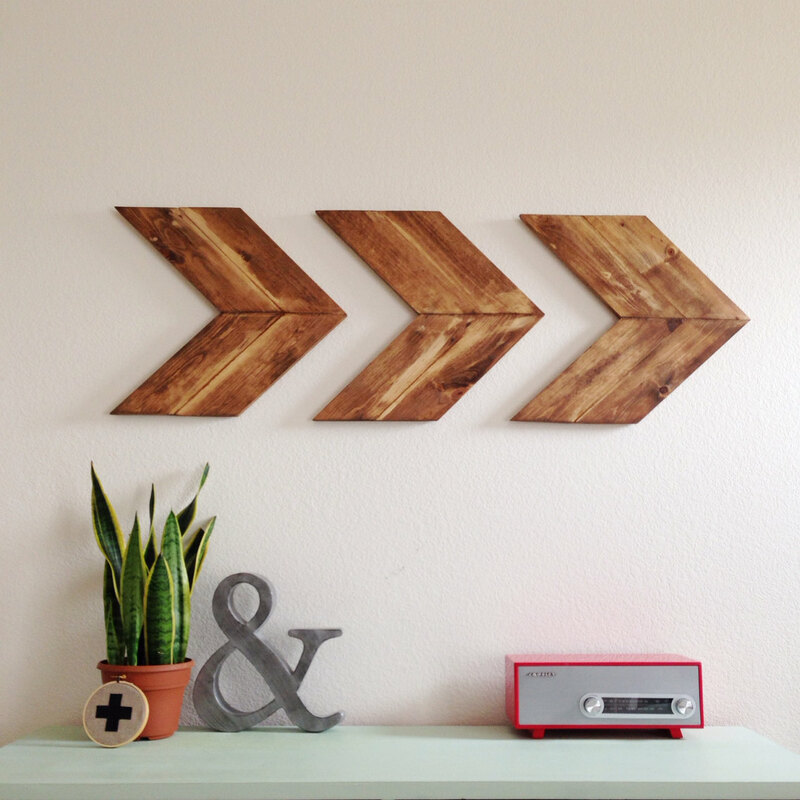 Love Grows Wild also shows how you can combine arrow art with regular wall art pieces. 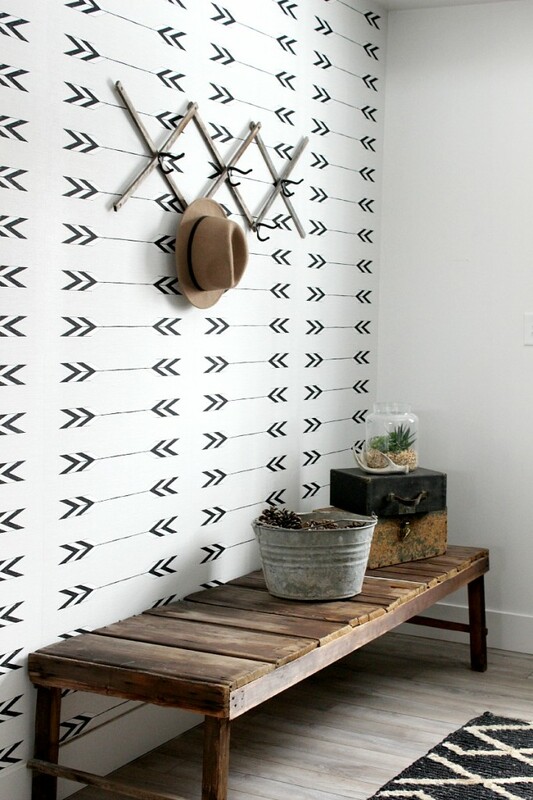 Wooden arrow art pieces make for a great rustic look, but if you’re looking for something a little less woody, then you might consider using wall decals instead. 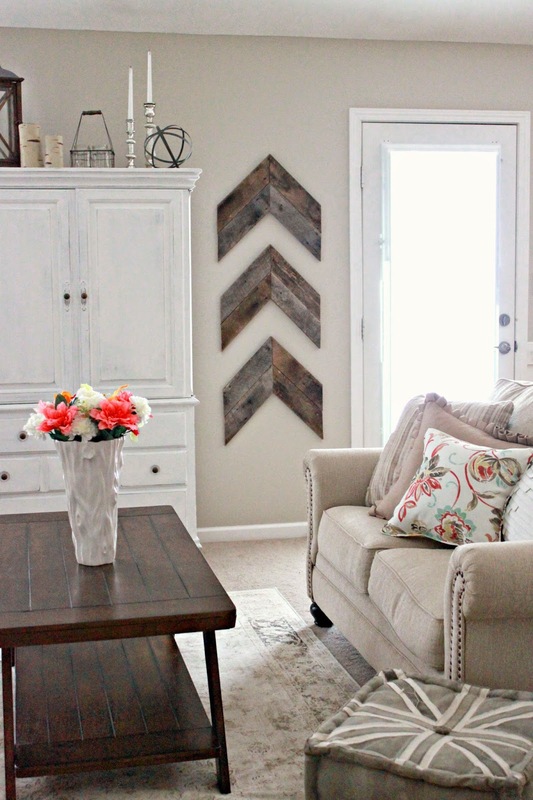 Attach small ones to a specific section of a wall like this example from Dana Decals, or go all out and cover an entire wall for a wallpapered effect like this second idea from The Lillypad Cottage. 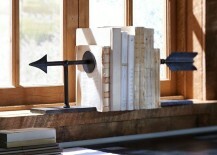 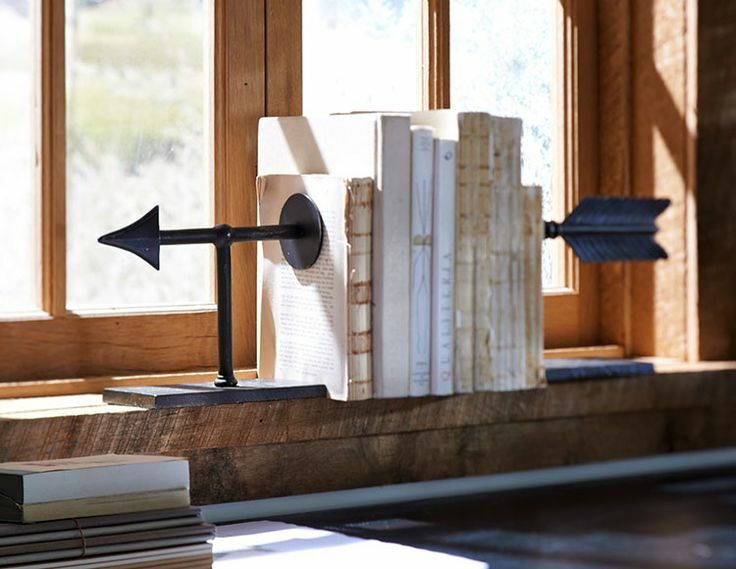 Perhaps one of the most interesting ways to use a decorative arrow has to be for storage purposes. 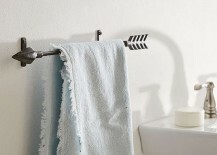 Basically, if it can hang on a rod or a rack, then it can hang on an arrow, too. 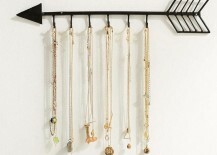 Check out these two gorgeous arrow jewelry holder ideas from Lemonade Makin Mama and Urban Outfitters. 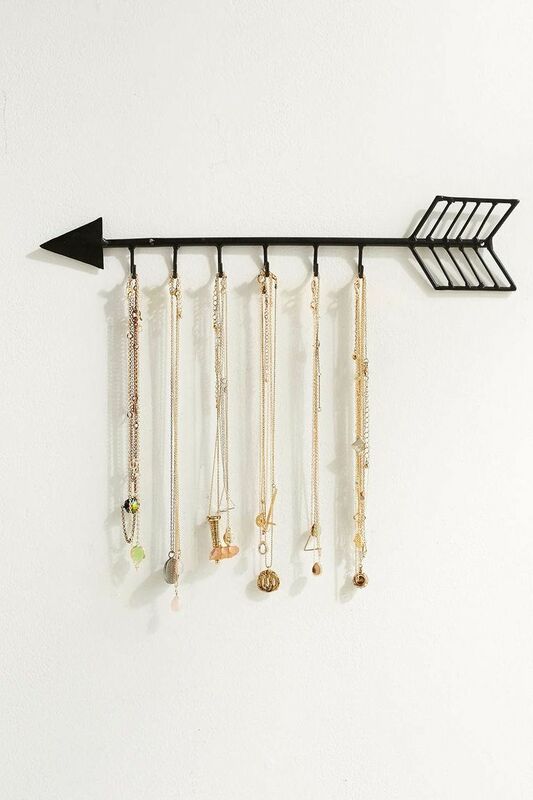 Like the jewelry holder ideas above, arrows can be used to hold all sorts of other things. 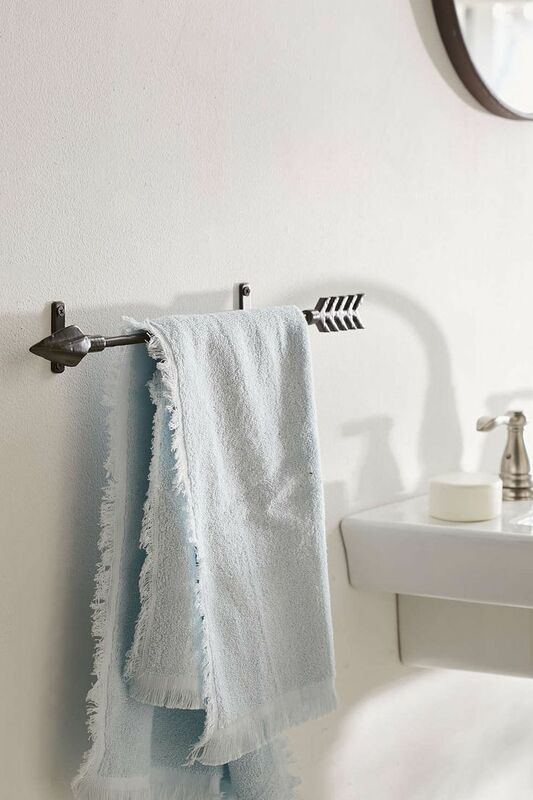 For example, this towel rack from Urban Outfitters brings an interesting and elegant little hardware detail to a bathroom. 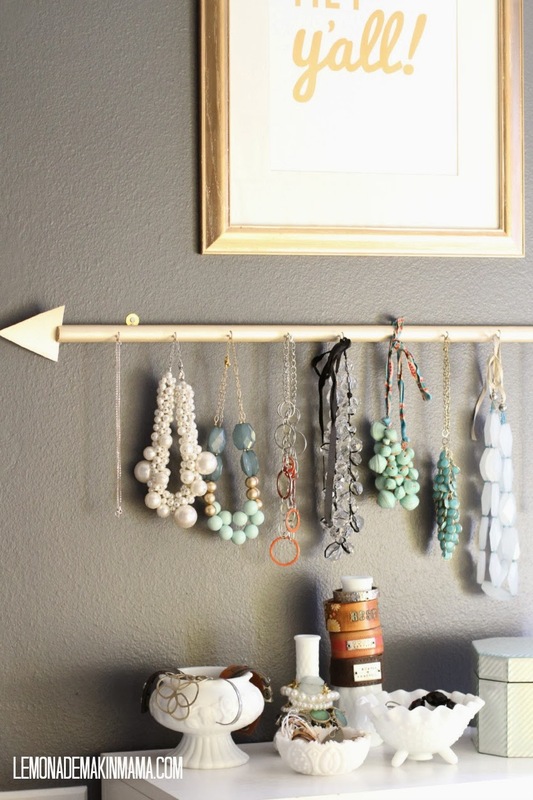 Or how about a curtain rod? 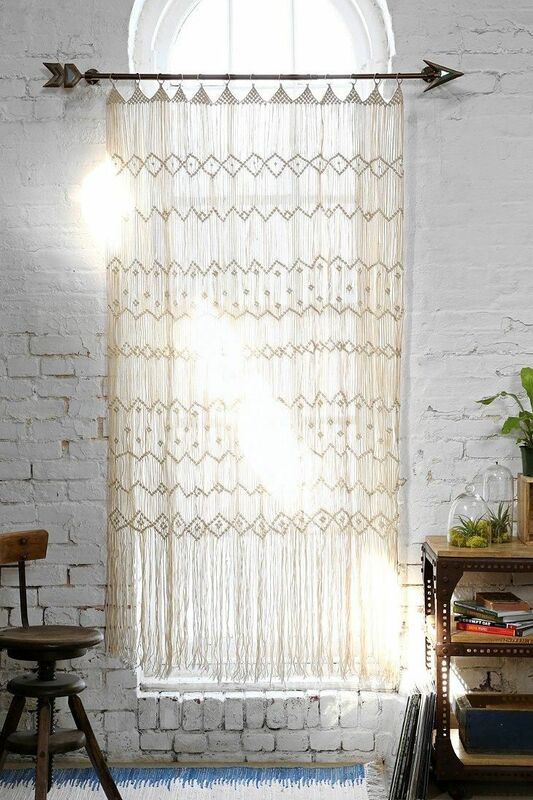 Urban Outfitters has one of those too. 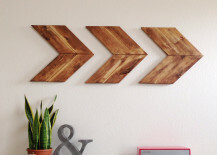 While pretty much all of the examples we’ve covered so far are all about hanging arrows somewhere along a wall, you certainly don’t have to stop there. 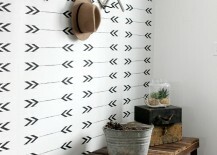 Arrows can be incorporated into your home in all sorts of decorative ways, including your accessories. 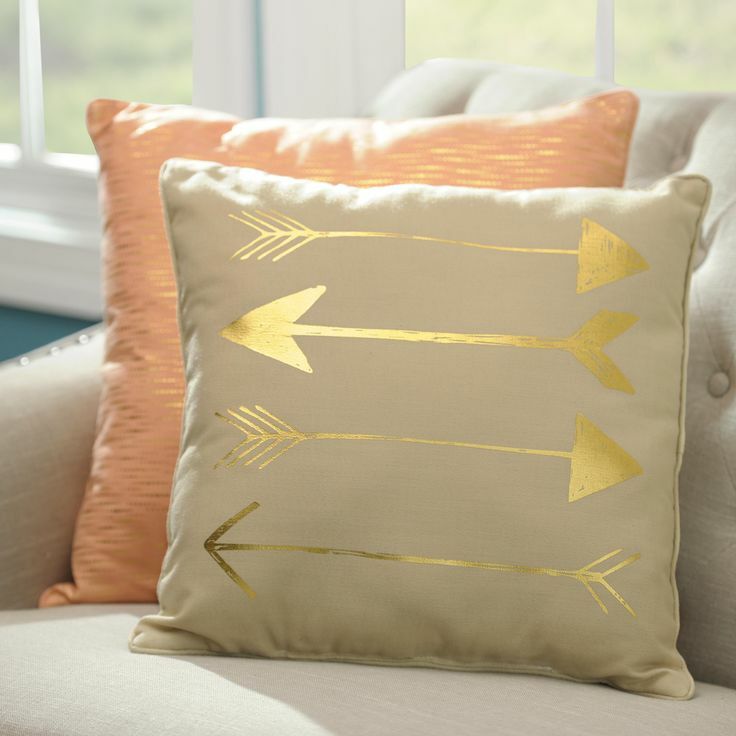 These accent pillows from Kirklands and these bookends from Pottery Barn are just two extra examples of how you can incorporate arrows into your decor. 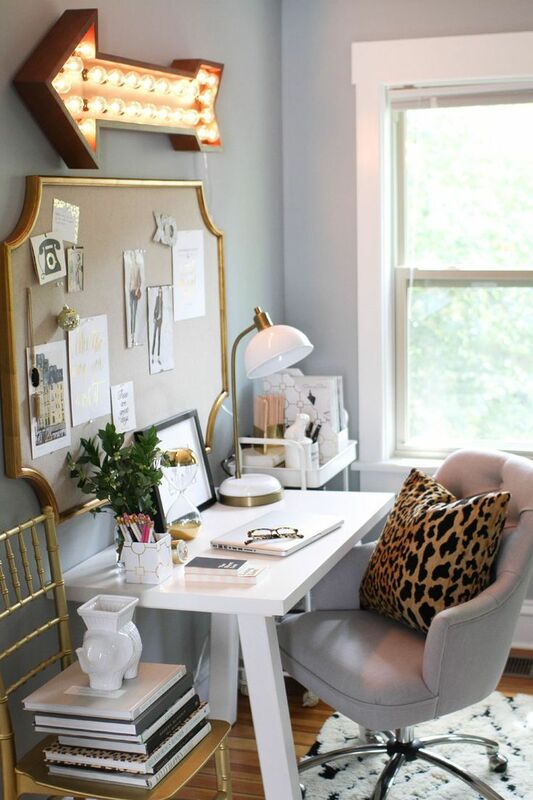 Homedit also featured this stunning arrow-shaped marquee light for a unique office light solution. 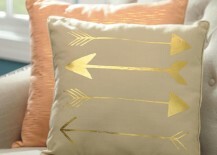 So what do you think about arrows as a decor trend around the home? 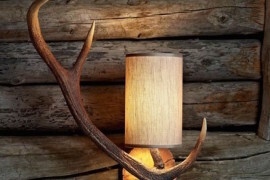 Given that they can be used with such versatility and in all sorts of different styles, I’d say they could definitely look good almost anywhere.